I came across this gorgeous thick woven fabric at Joann's. I loved how the fabric looked great on both sides. I knew I wanted to add a little something to the edges and keep the fabric as is without adding a backing. I bought some black polka-dot material to use for the edges. I wanted this to be a fast and simple project so I took the laziest approach that I could. I cut out the spiderweb material to be 45" by 55". Then for the side binding I cut 1.5" strips of the polka-dot material. I wanted to add a wider strip to the short ends of the throw so I cut out 3.5" strips of the polka-dot material. Here is where my lazy approach comes in. 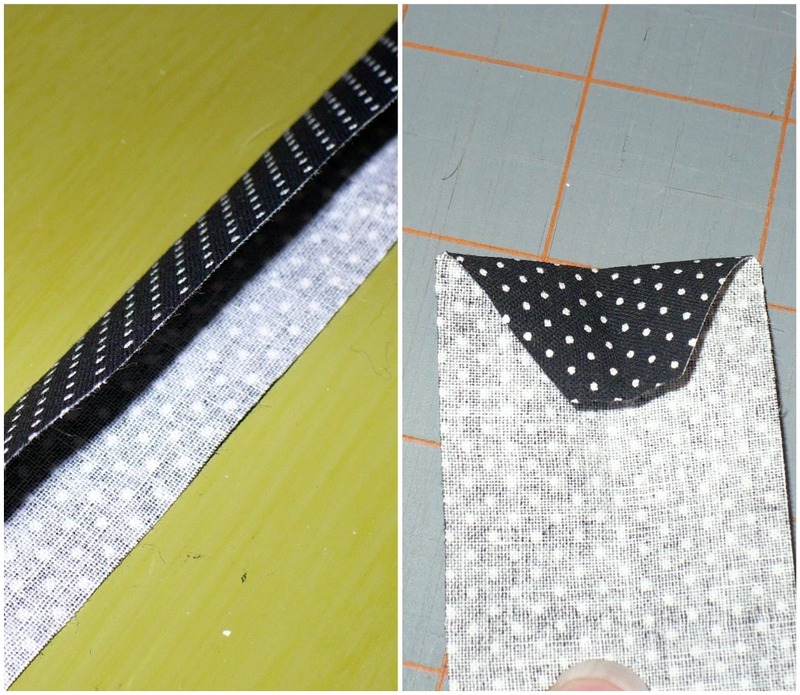 I didn't want to make my own bias tape so I just ironed the 1.5" strip in half then cut the edge like shown above. Since they were only going up the sides this is how the end will look. I decided I wanted to keep the edges raw, it would add to the look of frayed spider webs. I sewed the 3.5" strips right sides together then ironed them wrong sides together to make a sort of sleeve. 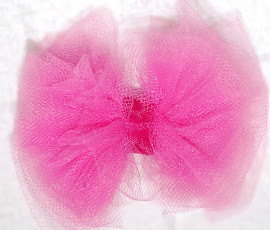 I sewed this to the top inch of the spiderweb material, yet again leaving the edges raw. This took a little finagling but I like the length that it added. Finally I sewed the binding up the sides. I love the look of the raw edge, it will look awesome once I wash it. This was so simple and I love how it turned out. It will look so cute by my table runner. Don't you love my cute little puppy peeking her head out wondering what I am doing? Super cute! I bet this adds a lot of color and a halloween theme to the room. Thanks for sharing! I love how it turned out! Good Job!